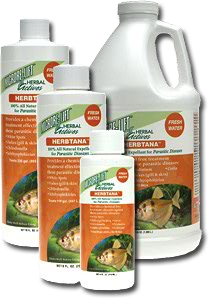 A blend of all of the essential micronutrients and minerals required by many freshwater fish but which may not be present in all water sources or may be removed in some aquarium filtration systems. Vitamins:Vitamin A (Acetate), Inositol (B), Thiamine (B-1), Riboflavin (B-2), Pyridoxine H Cl (B-6), Cyanocobalamin (B-12), Ascorbic Acid Sodium Salt (C-L), Vitamin E (Acetate), Biotin (H), Menadione Sodium Bisulfite (K-3), Niacin (B-3). a pH buffer in deionized/ UV-Sterilized Water. 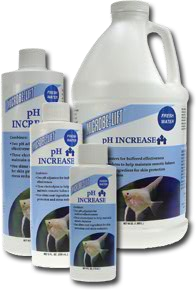 MICROBE-LIFT/Vitamins & Amino Acids will have no effect on pH, water hardness or alkalinity. Always adjust your tank water’s pH separately. 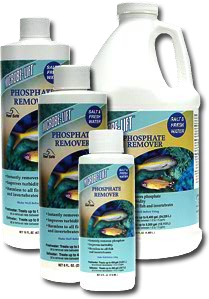 If you use ion exchange resins or carbon, carbon filter pads, they will remove important trace minerals. 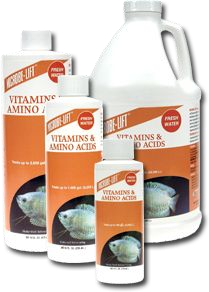 MICROBE-LIFT/Vitamins & Amino Acids contains no heavy metals, phosphates, silicates, or nitrates. Add 1-2 capfuls (7-14 mL.) per 50 gal. (189 L.) 1-2 times per week.